The Ceilidh - BRIGADOON | Bundanoon Highland Gathering Inc. The official Brigadoon Ceilidh is held at Bundanoon in the evening each year after the Highland Gathering. Dress code: smart casual (DEFINITELY NO shorts, thongs, singlets) however, HIGHLAND DRESS and/or TARTAN TREWS, MOST WELCOME. Throughout the evening revellers make merry to a lively band and a mix of modern and traditional dancing, interspersed with other entertainment – singers, dancers. Later in the evening the haggis is piped in and is featured in the traditional Robbie Burns “Ode to the Haggis”, followed by tasting. A light supper is served (BYO grog, water, soft drinks, glasses & opener). There are lucky door prizes to be won, and raffles for charities (as a non-profit organisation, all moneys raised is donated to local charities). Join the Chieftain of the Day. 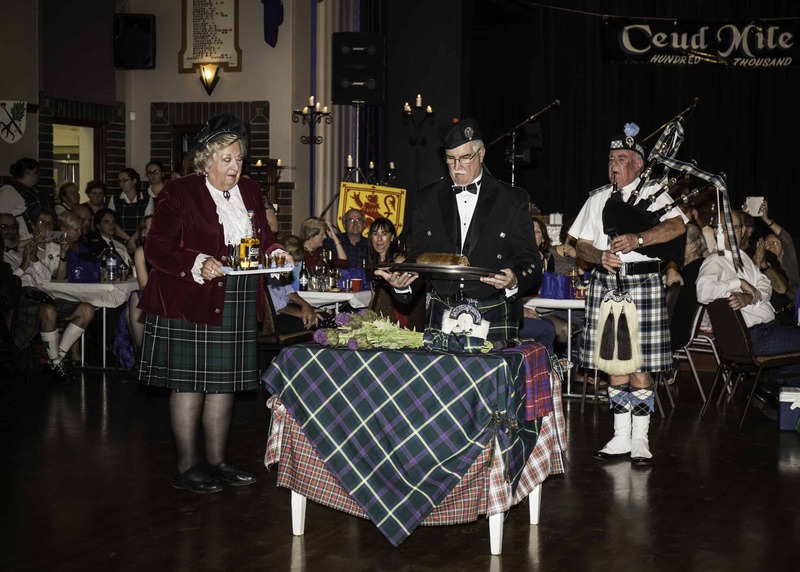 Hear the Address to the HAGGIS – then taste what it is all about! Live entertainment by guest singer/ and/or poets. Acceptable options for payment -EFT, CHEQUE or POSTAL ORDER. NOTE: Tickets will NOT be supplied until payment has been cleared. For cheque or postal order payments (please endorse to Bundanoon Highland Gathering) and include a stamped, self-addressed envelope for return delivery of your tickets.